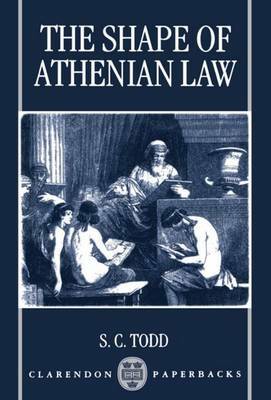 Unlike its predecessors, this systematic survey of the law of Athens is based on explicit discussion of how the subject might be studied; and it incorporates topics like the democratic political system and social structure, which are too often regarded as being outside the scope of law. At its heart lies an attempt to reshape our understanding of how the Athenian legal system operated; but it also deals extensively with subjects such as slavery, inheritance, maritime trade, and patterns of land-holding. The author draws primarily on the hundred or so surviving law-court speeches of the Attic orators, but also uses Athenian comedy, public inscriptions, and various historical and philosophical texts. Technical and legal terms, ancient and modern, are explained in a comprehensive glossary. This book should be accessible to those interested in social history and the anthropology of law, as well as to historians of the ancient world.